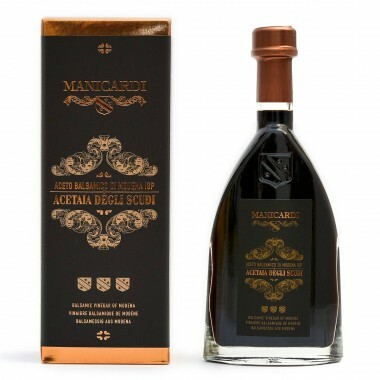 Manicardi Aceto Balsamico Di Modena IGP 5 Scudi Available | Saporidoc UK. 5 Scudi - A beautiful Balsamic Vinegar from Manicardi - a Balsamico with a very soft taste that is harmonized through the time, thanks to the maturation of the vinegar in small casks made of different woods - chestnut, oak, cherry, mulberry, juniper with prevalence of juniper. 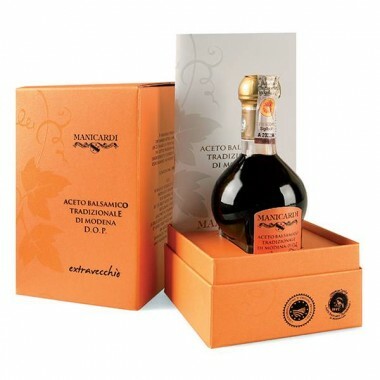 A very versatile vinegar suitable for the preparation of different dishes – Italian as well as international. Classification Balsamico di Modena I.G.P. Maturation In small casks made of chestnut, oak, cherry, mulberry, juniper with prevalence of juniper wood. Pairs with Meat, cheese, very special with “pasta”. Ingredients Wine vinegar, cooked grape must. Contains sulfites. 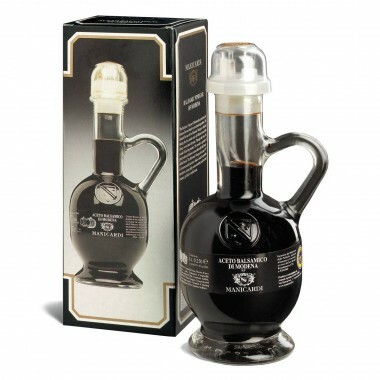 This Traditional Balsamic Vinegar of Modena is an expression of the very highest quality level. 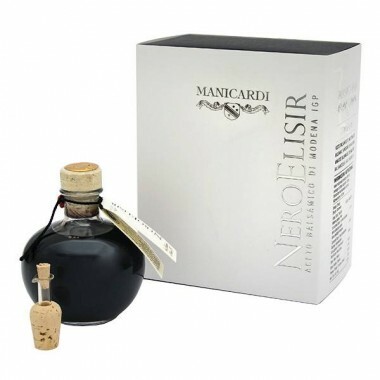 It is a very valuable product obtained after a minimum of 25 years of very slow ageing in small wooden barrels of chestnut, cherry, mulberry, juniper and oak. It generously discloses to the palates of connoisseurs secrets of this exquisitely product.